28 May 2018 --- The European Commission plans to reshape 25-year-old rules governing excise duty on alcohol because they need to be modernized to keep pace with the advances of technology and trade opportunities that are present today. The Commission has tabled a series of updates of the rules governing alcohol excise duties to better reflect the current climate in alcohol markets across Europe. These updates will pave the way for a better business environment and reduced costs for small alcohol-producing businesses as well as better protection for consumer health, according to the EC. The recent announcement means that small and artisan alcohol producers (including, for the first time, small independent cider makers) will have access to a new EU-wide certification system confirming their access to lower rates of duty across the European Union. The proposal will put in place a uniform certification system confirming the status of independent small producers throughout the EU which, according to the EC, will reduce the administrative and compliance costs for small producers who will be able to benefit from reduced excise rates under certain conditions. The plan will also ensure a precise and consistent classification of cider across the EU and clarify the correct manufacturing processes and conditions for denatured alcohol. It will update IT systems to track movement of certain denatured alcohol and increase the threshold for lower strength beer that can benefit from reduced rates from 2.8 percent volume to 3.5 percent volume. 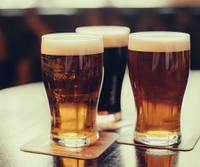 This will provide an incentive for brewers to be innovative and create new products while encouraging consumers to choose low-strength alcoholic drinks over standard ones, thus reducing alcohol intake. The proposal also includes measures in general excise duty rules to remove barriers for small and medium-sized enterprises (SMEs). This will allow SMEs to use modern IT systems when they wish to do so and lifts their existing obligation to employ tax representatives. EU countries can currently insist that distance sellers of excise goods employ tax representatives, which can make legitimate trade financially unviable. The proposal could be very welcome news for sectors within the EU’s alcohol industry as the rise of small and artisanal producers continue to peak while sales of low alcohol drinks are rising as consumers, particularly millennials, opt for healthier choices in terms of alcohol content. Global alcohol consumption is declining and there is an increasing consumer trend towards cutting down on alcohol or cutting it out altogether. This is leading to more and more non-alcoholic or low ABV products hitting the market. Some examples include the January launch of the first non-alcoholic lager by Guinness, demonstrating how the brand is tapping into the “teetotal trend” and the rise in popularity of the first-ever distilled non-alcoholic spirit, Seedlip which is now being served in 15 international cities and 100 Michelin restaurants since its initial launch in 2015. Marketed as a sophisticated alternative to overly sweet or fruity options, the non-alcoholic beverage is served at prestigious cocktail bars, hotels, restaurants and retailers across London, Barcelona, Stockholm, Berlin, Copenhagen, Milan, Stockholm, Hong Kong, New York, Los Angeles, San Francisco, Sydney and Melbourne. On top of new product development, just last month Foodex 2018 in the UK featured some of the trendiest innovations in British food and drink solutions, including a focus on sophisticated adult soft drinks. Exhibitors shone a light on the most important trends driving innovation across the food and beverage sectors and sophisticated soft drinks stood out. There was a rise in demand for ground-breaking premium adult soft drinks, which can be used as mixers or as non-alcoholic beverages by themselves. This is also in line with Innova Market Insights’ #2 trend for 2018, “Lighter Enjoyment” which centers on consumers continuing to look for ways to eat and drink more healthily, lightness in terms of alcohol content, sweetness, flavor, texture or even portion size is increasing its appeal, although definitely not at the expense of a familiar, high quality and indulgent taste profile. Under the new proposal consumer health will also benefit from a crack-down on the illegal use of tax-free denatured alcohol to make counterfeit drinks, according to the EC. There will also be an increase in the threshold for lower strength beer to which reduced rates may apply. “The EU’s common rules on the structures of excise duties on alcohol and alcoholic beverages are over 25 years old and in urgent need of an update so that they can keep pace with the challenges and opportunities offered by new technology and trade developments while protecting public health. I encourage Member States to move ahead quickly and decisively with this review,” says Pierre Moscovici, Commissioner for Economic and Financial Affairs, Taxation and Customs. Existing EU rules on the harmonization of the structures of excise duties on alcohol and alcoholic beverages were agreed in 1992 (Directive 92/83/EEC). They set out common definitions of alcoholic products that are subject to the duty and ensure that all Member States treat the same products in the same way. They also specify the method to calculate duty on alcoholic products and the criteria for products to benefit from reduced rates or exemptions. Other legislation in this area, and proposed for recast (Directive 2008/118/EC) lays down the common provisions which apply to all products subject to excise duties (alcohol, tobacco and energy). The revision of both Directives is part of the Commission’s REFIT program. The Council has also asked the Commission to carry out the necessary studies and consultations to submit a proposal for the revision of both Directives. As part of this work, open public consultations were launched in 2017. Respondents noted the added value in a clarification of the current rules and welcomed reductions in administrative and compliance burdens.